Like surprises? Can't make up your mind? Choose this JEWELRY GRAB BAG and surprise yourself with a Gift bag with a surprise piece (or two) of jewelry just for you! Choose Gold or Silver! Treat Yourself! Each bag is filled with jewelry of our choice with a minimum value of $12. 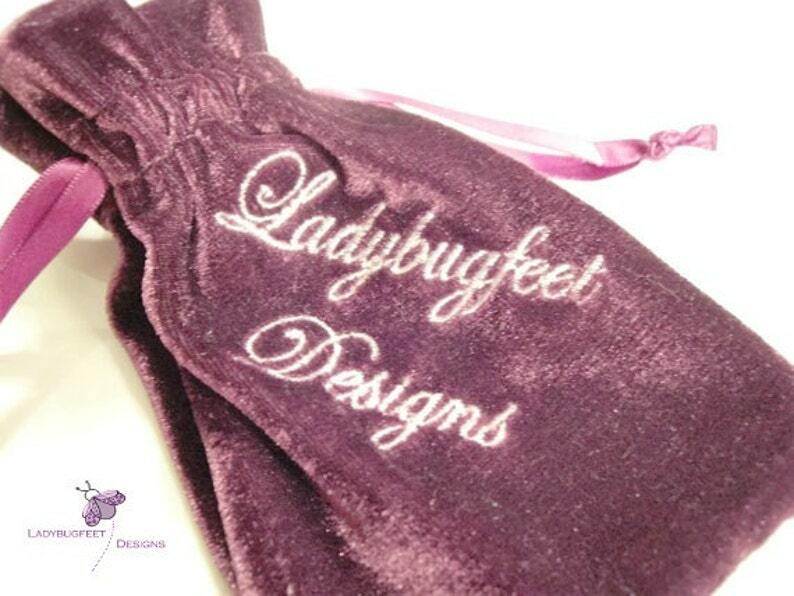 from Ladybugfeet Designs. SURPRISE YOURSELF OR SOMEONE SPECIAL TODAY! It's a fun, affordable way to treat yourself! *This listing is for one (1) velvet bag and one to three pieces of jewelry chosen at random for your delight! All sales final. Two Tone Laugh LoVe Live Family Tree Adjustable Wire Stackable charm bangle,Two Tone Gold Silver charm Bracelet - Choose Gold or Silver! Two Tone LiVe LaUgH LoVe Family Tree Adjustable Wire Stackable charm bangle,Two Tone Gold Silver charm Bracelet - Choose Gold or Silver!